2300 miles, 25 or so live rattlesnakes, 54 years. One amazing visit. Three French hens, two turtle doves. And a trogon in a sycamore tree. Those are just few of the numbers from my birthday week, which began two days before the 5th when I drove to Tucson to look for sidewinder rattlesnakes that Friday night before picking up my stepdad Joel from the airport midday Saturday. 2.5 hours to Tucson, an oil change, Wing Stop lunch and an afternoon escape-the-heat matinee of Mission Impossible - Fallout later, I was at the Motel 6 North Tucson. 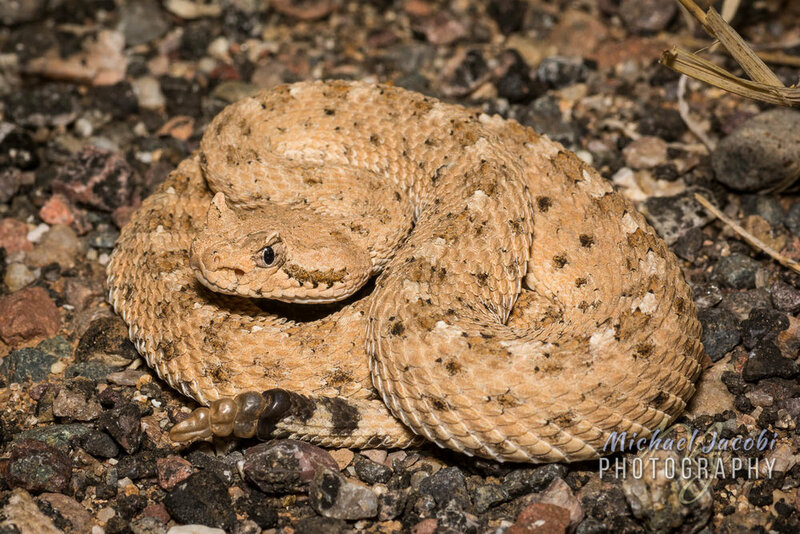 That night I found my lifer Sonoran Desert Sidewinder. 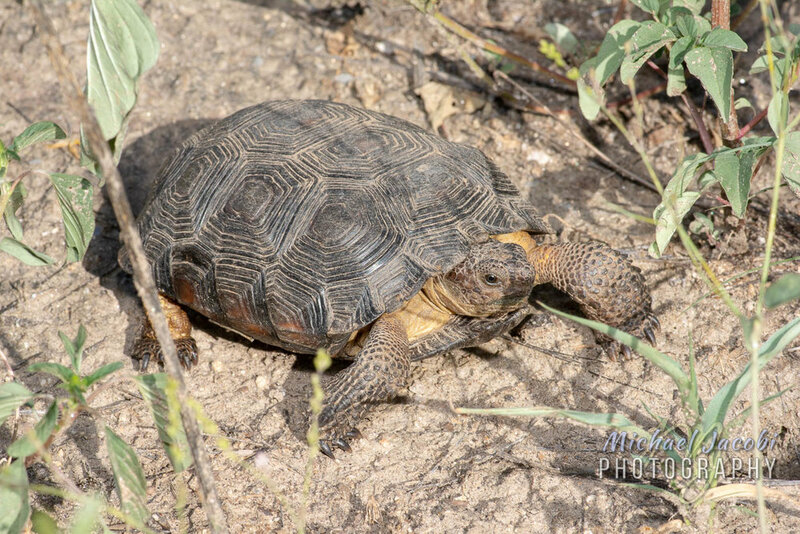 The next morning another lifer - this time a Sonoran Desert Tortoise. 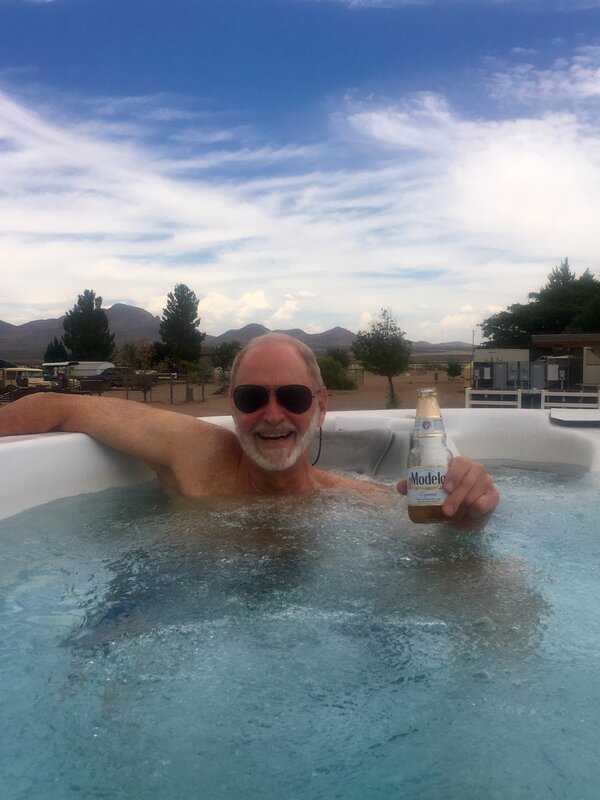 Then it was the airport and a scenic drive up the Catalina Mountains, followed by some Tucson shopping, groceries in Willcox and a dusk check-in for Joel at Rusty's RV Ranch. A short time later it was Joel's lifer rattlesnake as I spotted a Western Diamondback on the roadside only five minutes after leaving Rusty's to take him into the Chiricahuas for the first time. In the excitement I shooed it off the highway without capturing an image, but Joel got the thrill of seeing me move it from the road and see it slither into the desertscrub. As we entered Cave Creek Canyon it was rattlesnake number 2, a Western Black-tailed that a couple of guys had discovered. We asked if we could join them so Joel could see my favorite rattlesnake. It wasn't necessary as he'd see a few more during the adventures to come. My diary will get fuzzy here as we did so much it would be impossible for me to recount it all chronologically without overlooking something. The snakes are a blur. So I'll forge ahead to the next day - Sunday the 5th, my 54th birthday. I had something different planned and our final destination was the wild west town of Tombstone, Arizona. First there was a stop in Douglas to see the wall between that city in extreme southeastern Arizona and Agua Prieta, Sonora, Mexico on the other side. Then we headed west along the wall, on to Bisbee for coffee and, finally, were walking the dusty cowboy streets of Tombstone. A beer at Doc Holliday's Saloon, some shopping and then lunch at Big Nose Kate's Saloon and before long we were back in Bisbee to have a beer at Old Bisbee Brewing Company. Back in the Chiricahuas for dinner time we grilled up steaks at my corral. Road cruising followed, as it did every night, and Joel saw Diamondbacks and the deadly Mohave Rattlesnake, which would be the most frequently encountered snake over the week and two dozen rattlesnake engagements. In fact, we saw the largest Mohave I've seen one night in a very unexpected location. But of all the snakes the one we both will remember most is a big beauty of a Western Black-tailed that was crossing the primitive mountain road at 7500 feet elevation in the early afternoon. My goal for the week was always to get a photo of Joel with a rattlesnake. I didn't want him to get too close, but I think this image speaks a thousand words. This beast was a spectacular example of the species that is my favorite rattlesnake both for its beauty, habitat and fairly gentle disposition. When a carload of birders descended the mountain road I had already moved it off the road, but I asked them if they wanted to stop for photos. It was a rare moment of wanting to share the joy of the experience and the majesty of the snake. Other adventures included a trip up the mountain road over the top of the mountain to descend through Pinery Canyon to the northwestern side of the range for a visit to the Chiricahua National Monument. This special place has incredible rock formations - pinnacles, hoodoos, balancing rocks. We took in views like the one below at Massai Point, but then would take perhaps our most arduous hike of the week when we summited Sugarloaf Mountain. While we were at Massai Joel had asked what the structure atop a distant peak was. I had to look at it through binoculars and then I looked at the map and figured it out. He had no idea what was in store for him when I drove to the parking lot trailhead. The trail was only one mile or so each way, but it climbed about 500 feet to an elevation of 7400 ft and was often steep and slippery. Another adventure was our first birding trip. I wanted Joel to see the Elegant Trogon, the bird people come here from around the world to see, the Mexican bird that perhaps numbers only 60 in the United States. We parked in a prime area and I got out and only moments later was pointing out the dazzling male above us. I hadn't walked six steps. Good fortune smiled on us. Each day we hiked, dined, road cruised. We were constantly on the move except one afternoon in Rusty's swim spa relaxing with a cold cerveza. Snakes, birds, snakes, snakes. Tarantulas, vinegaroons, scorpions. More hikes. Each day was filled with activity and as the week began to wind down I asked Joel if he was interested in a road trip. I thought perhaps he'd want to see somewhere else in the southwest and we decided to limit it to a three hour drive. I mentioned a few options, but the one that immediately was of interest was Gila Cliff Dwellings National Monument north of Silver City, New Mexico. I had visited the Gila National Forest in the region a few times last year, but had never gone to the Cliff Dwellings. It was pretty spectacular. I admittedly am not one for history and historical sites, but at the Gila Cliff Dwellings National Monument you can actually enter the cliff dwellings unguided and see where Mogollons lived for twenty years or so in the late 1200's. It was certainly worth the trip and the winding and climbing scenic mountain drive there and back added to the experience. It was an action packed week that left me exhausted. Saturday morning I picked Joel up one last time at Rusty's and we made the 150 mile trip to Tucson Airport. Then I turned around and headed home with a brief stop in Willcox for a few groceries and some lunch. As I type this Monday afternoon I am preparing to head to Tucson again Thursday. 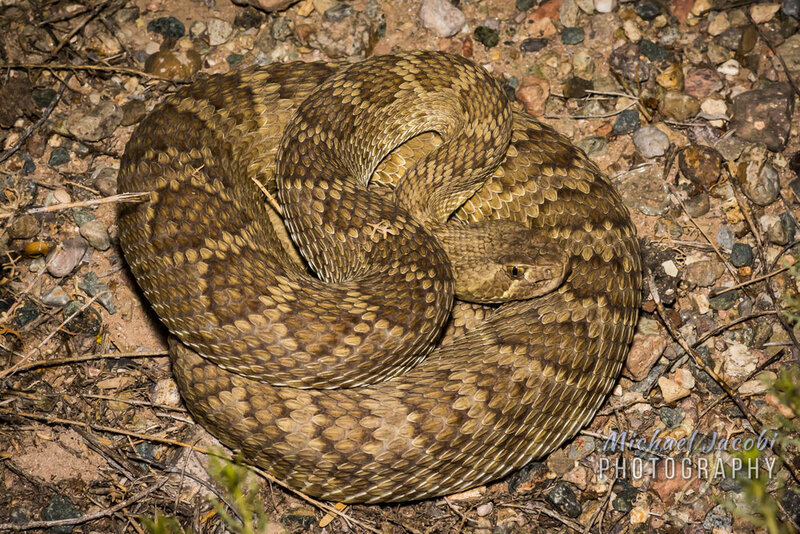 I will once again spend an evening looking for sidewinder rattlesnakes and then Friday morning pick up my buddy Chad at the airport for his five day visit. I'll close now leaving y'all with a short video of me wrangling one of the beautiful black-tailed rattlesnakes Joel got to see during visit. I don't usually have a cameraman so it was nice to be on the other side of the lens and get some memories captured. Below the video I'll post a list of just some of the animals Joel got to see during his week. MJ wrangling a Western Black-tailed Rattlesnake (Crotalus molossus) in the Chiricahua Mountains.